Fashion winter women clothes look on white background. Flat lay, top view. 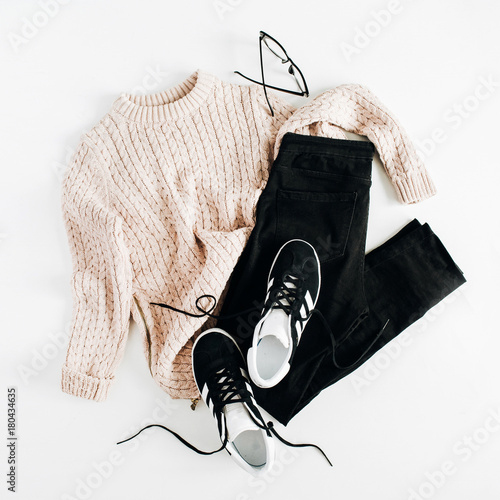 Sweater, sneakers, jeans and glasses.